You would think that if you have the most popular driver on the PGA and European Tour, you would be more than happy to put your feet up at Christmas. For TaylorMade however, that is not the case. Before they settle into the festive period, they have been busy working on a more compact, 430cc version of their successful SLDR driver. Designed with their Tour players in mind, the smaller head size is more workable than the original 460cc model. The new "SLDR-mini" features all the same adjustability, colours and branding as the original, just in a more compact design. By making the clubhead smaller, TaylorMade were able to put a low, forward centre of gravity into a compact clubhead for the first time. They believe this will make the club more workable, without giving up yards off the tee. Tough to spot many differences isn't it? Of course we all know by now that the SLDR name refers to the sliding weight in the sole. The blue 20-gram weight can be loosened, moved and secured to 1 of 21 points on the sliding track, moving the centre of gravity by up to 6mm. That is 50% more CG movement that the TaylorMade R1 driver. 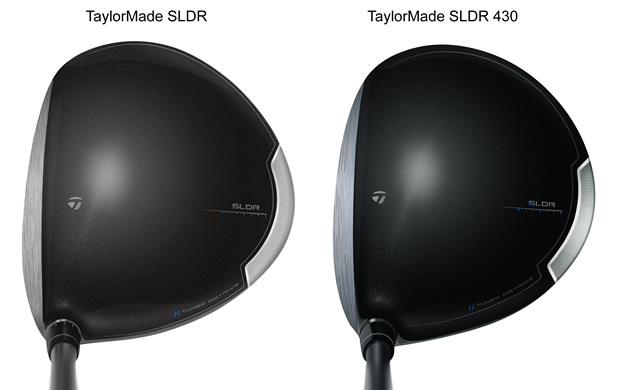 The SLDR 430 is available in three lofts, 9.5, 10.5 and 11.5 degrees, and can be adjusted +/- 1.5 degrees using 12 different settings in TaylorMade's Loft-sleeve Technology. And remember, the more you add loft to a driver, the more the face angle closes and vice versa. Whilst the SLDR doesn't allow you to independently alter face angle, changing the loft will impact the angle of the face at address. There is a TP version of the SLDR 430 also. The only difference is that the TP model comes with a Fujikura Speeder Tour Spec 7.3 graphite shaft, whereas the standard SLDR 430 driver comes with a Fujikura Speeder 67-gram shaft. 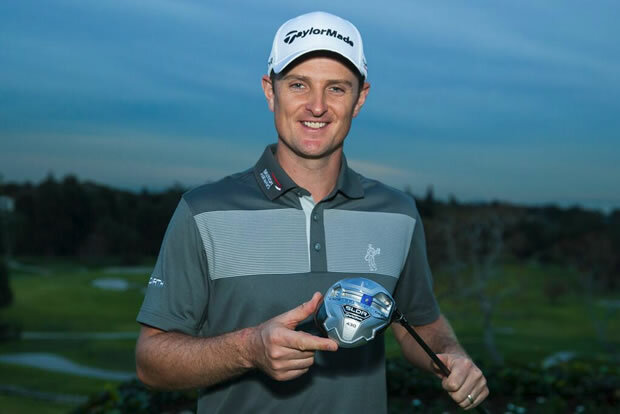 US Open Champion, Justin Rose, was one of the first to get his hands on the new SLDR 430 driver. By the looks of his smile, he likes it.